In this book - "How to Find Chinese Investors, Agents & Clients for Your EB-5 Projects & Services, A Practical Guide for Regional Centers, Attorneys, Developers and Businessmen" - Dr. Gregory Finkelson unveils practical and insightful information to help business people understand the opportunities and benefits of the EB-5 program with Chinese investors. He provides additional tips and suggestions about how to navigate the sometimes "shark-infested" waters of the EB-5 visa program. AMERICAN CORPORATE SERVICES, INC. provides essential, consultative, legal and actual services relative to employment and investment-based immigration.Our clients include Regional Centers, Developers, Attorneys and other immigration specialists.Our services include: Global promotion of client projects, Professional pre-production review of client marketing collateral, Locating qualified investors in China, and Managing the entire China side of client projects. 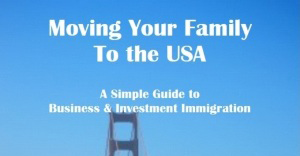 Moving Your Family to America is a 24-page, full-color graphic book containing all of the information essential for foreign businessmen and investors to determine which U.S. visa program is best for them and how Dr. Gregory Finkelson and his company, American Corporate Services, Inc., are uniquely equipped to help ensure successful immigration. Employment-based visas (including immigration by investment) provide a significant boost to the American economy – especially when those investments, like the EB-5 visa program, creates jobs for American citizens. The number of unwillingly unemployed Americans numbers in the hundreds of thousands, but it is not a number publicized by the government. We believe that the immigration by investment has been and will continue to be a savior of the American economy, especially as demand for visas by wealth Chinese investors increases and visa quotas are expected to be relaxed. We believe that these investors are going to need more help processing their immigration. We believe that developers are going to need more help finding the right combinations of investors. We believe that immigration attorneys are going to have greater opportunities to help foreign investors than ever before in American history. Our business has always been about helping business people start and build businesses in America. We have the experience and wherewithal to help them, but we cannot do it all by ourselves. Neither can you. Therefore our new website is designed to offer our specialized services to provide the synergies that can contribute to our greater success, the success of the foreign investors, and the success of the American economy. Following is a summary of ways that we can help Developers and Attorneys seeking Chinese investors. We can ensure that project brochures, business plans, economic impact studies and economist’s endorsements, brochures, government registrations and/or endorsements, any your company history of success are properly packaged for presentation to Chinese investors. Because of our connections in China, we offer expert assistance in creating and presenting effective blog & website creation & maintenance, booklets & Power Point presentations, working with Baidu, Weibo, WeChat, Weiboyi and other Chinese internet companies. Our online expertise and assistance includes search engine marketing, management and optimization, in addition to website creation and maintenance. We know where the Chinese agencies are and we know how to legitimately gain their cooperation. We maintain a list of companies with key contact information. We specialize in reaching high net worth investors by contact their student children already in the U.S. through student associations, churches, social media, and email, to name just a few. We are equipped to work in mainland China and Hong Kong to collect data, resolve financial and legal issues, establish in country offices, and conduct day-to-day business, including managing the relationships with either Chinese Agents or direct investors. Immigration is never a simple process. There are always deadlines to meet and documents to be filed, and those deadlines must be met and the documents must be accurate and complete. 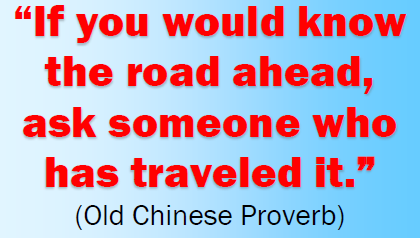 Dealing with investors from other cultures presents its own set of obstacles to overcome, both for you and for them. Our experienced staff understands those differences and are, therefore, able to anticipate common faux pas before they happen and properly correct them if they do happen. Contact us today. We are ready to help.